Nothing is more heart breaking than finding yourself in a domestic dispute, whether it’s going through a divorce, modifying Court Orders after a divorce, or trying to enforce Court Orders. If you find yourself in one of these situations, you need a good attorney. In this case, you need an attorney who is aggressive but compassionate, one who knows the law and will zealously fight for your and your family’s rights, but who also understands that what’s really important is the life that continues on, away from the Courthouse steps. Thomas Boyers V is that attorney. A divorce is a traumatic journey. It’s one of the most emotional experiences a person can endure. You’re shifting from married life to single life. Even this, alone, is a huge adjustment, and you likely will endure a major financial adjustment as well. If children are involved, there will be additional changes. Your role as a day-to-day parent will never be the same. Even in the simplest of cases, you are likely to endure a great deal of stress and anxiety. While there are many things Tom can’t help you with as you begin this journey, what he can do is give you experienced advice on what to expect in court, help you negotiate a settlement, provide objective answers to your many questions about what to do and what to avoid, and make sure your rights are protected in Court. To read more about Thomas and his experience, go here. A divorce begins with the filing of a Complaint. 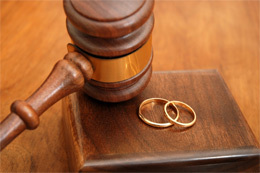 The Complaint notifies the Court that you or your spouse wants to end the marriage. The Complaint can be quite complex, because it also addresses issues such as child custody and support, child visitation (often called parenting time), spousal support, the division of property, attorney fees and costs, and often other issues. A Complaint must be served on the other spouse before the divorce can proceed. The other spouse is entitled to file an Answer, which may include a counterclaim or alternative options for each part of the Complaint. In Tennessee, once the Complaint is served, the other spouse has thirty (30) days to file an Answer, or a default judgment may be sought. Temporary Orders set the rules for how you and your spouse must act while the case is pending. Temporary Orders typically address who stays in the house, where the children will reside and who is primarily responsible for them, who must pay certain expenses and, if necessary, what conduct will be considered inappropriate and therefore restrained. Usually it’s in both parties best interest to agree upon reasonable arrangements while the case is pending rather than incur the expense and to bad feelings fighting for Temporary Orders in Court. Discovery is usually where the bulk of the time necessary to make sure the ultimate divorce agreement is fair and equitable to both parties. Each spouse is entitled to information from the other spouse about the case. There are several different discovery procedures. Interrogatories are a list of questions requiring formal answers to each question, under oath. By carefully crafting the right interrogatories, a lawyer is much better prepared for a later deposition. Requests for production of documents requires the opposing party to produce certain documents (or to allow access on land in certain cases) in response to the requests. A deposition is where the spouse or a spouse’s expert are required to answer questions under oath, usually at a lawyer’s office, while a court reporter records what is being said and then prepares a transcript. A deposition is very much like testifying on the witness stand at trial, except there is no Judge present. Lawyers will make objections, just like in Court, and if necessary, the Judge will rule on the objections later before evidence is presented at trial. Properly done, the discovery phase will set the stage for negotiated settlements or trial. While no phase is more important than the others, the discovery phase is usually the heart of the case because discovery is where the bulk of the information is acquired. For most people, in most cases, it is better to resolve a case by agreement than go to trial. Who really wants a judge to decide all the the details of how you and your family will lives their lives? In most cases in Tennessee, if the lawyers cannot negotiate a settlement agreement, they must mediate. In mediation, an independent third party (mediator) listens to both sides of the case and attempts to negotiate a settlement. Mediation can be very helpful because a mediator can objectively examine the weaknesses in each party’s cases, and is often informative as to how a judge might be expected to rule if the case goes to trial. Your lawyer may recommend that you accept or reject a particular settlement proposal, but in mediation, the ultimate decision is yours. If a settlement is reached, a marital dissolution agreement will be prepared, signed by you both, filed with the court and a final decree encapsulating the dissolution agreement will be entered with the court (provided the Judge approves the agreement) before your divorce becomes final. If you and your spouse cannot reach a dissolution agreement, the case will go to trial. At trial, each tells their story to the judge through their own testimony, testimony of the witnesses and documents called exhibits. A trial can be expensive and unpleasant. However, it can be the only alternative to never ending unreasonable settlement demands. Still, a trial is risky. No one can predict the outcome of a trial because every case is different. Sometimes, a trial does not end the case because either party may elect to appeal to the Court of Appeals. The appeal adds more time and expense to the divorce proceeding. Whether your divorce is settled by agreement, or by trial before a Judge, the judgment can be modified by a judge after a hearing to determine whether there have been material changes in circumstances. Usually, child support, alimony, child custody, and child visitation can be modified, but only if there has been a change in circumstances sufficient to warrant the change. A change of circumstances might include (by example only) losing your job (or getting a better one), receiving a substantial inheritance, or even one of the ex-spouses getting married again. Child custody orders might warrant modification if one of the parties is moving away, or the needs of one or more of the children may have changed as the children age. Some orders are not modifiable. For example, the division of property is not usually subject to modification. And, if you and your spouse have agreed that alimony is not to be modified, which is personal to the ex-spouse as opposed to the children, the courts will usually uphold that agreement. If you or your spouse disobey a court order, the Judge may hold the disobedient spouse in contempt. Unfortunately, a somewhat large number of people are in jail right now for violating the Court’s Orders. A Judge can you or your Ex in jail or impose a fine as necessary to punish or seek compliance with the order. Thomas Boyers V is an experienced domestic law attorney. He can help you negotiate your way through the path of this difficult journey. If you would like to speak to Tom, call him at (615) 206-8663, or you can email him through the contact form.